www.2941.com; @2941Restaurant) is welcoming the arrival of spring 201​6​ and all of the beautiful seasonal ingredients that come along with it​ - ramps, fiddlehead ferns, morels, pea shoots, English peas, rhubarb, etc. 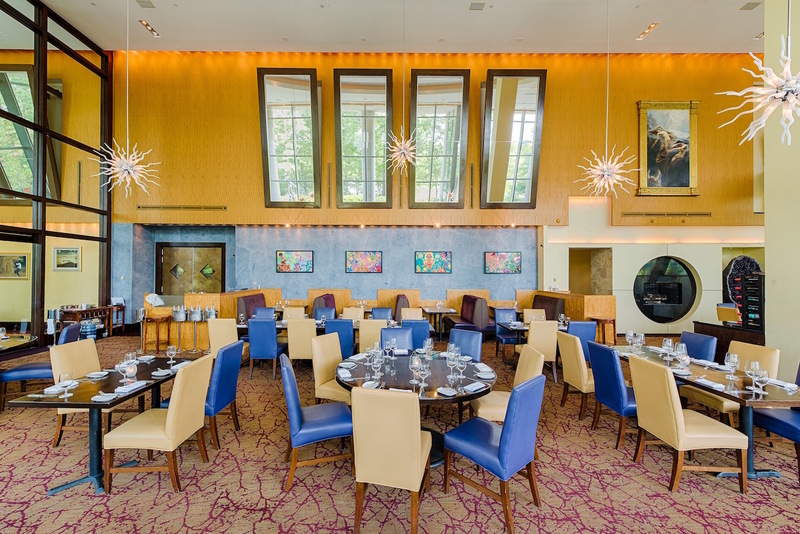 - by hosting a ​5​-course​ prix fixe​ 'Celebration of Spring' dinner on Sunday, April 2​4​th. Priced at $​78​ per person, with the option of wine pairings hand selected by resident Sommelier Jonathan Schuyler for an additional $​60​, guests that have been waiting patiently to savor the first sneak peek of spring ingredients will be able to enjoy sweet and savory​ seasonal​ dishes thanks to Executive Chef Bertrand Chemel, Pastry Chef Caitlin Dysart and team. Reservations are required with seatings available from 5:00pm to 8:​30​pm. Seasonal "Celebration of Spring" dinner menu dish highlights include: Asparagus Duo with asparagus custard & popcorn foam, and pencil asparagus salad, Halibut with spring garlic, clams, baby calamari, and San Marzano tomato coulis, Barigoule “Provençal Braised Vegetables” with Hawaiian hearts of palm, local ramps, spring onion, artichoke, olive oil émulsion, Parmesan Gnocchi with English peas, morel cream, and pea shoots, and Local Baby Lamb with a wood-grilled lamb Kebab, braised shoulder Navarin, and roasted herb potato, just to highlight a few. And for a sweet spring-infused finish, guests will have the opportunity to indulge in two decadent dessert options from award-winning Pastry Chef Caitlin Dysart including a Strawberry Tart Soufflé with lemon sablé, poached rhubarb, strawberry jam, ricotta sorbet, or a Chocolate & Mango Napoleon with dark chocolate ganache, cashew cake, mango semifreddo, and whipped white chocolate. For additional information or to make a reservation, please call (703) 270-1500 or visit www.2941.com. 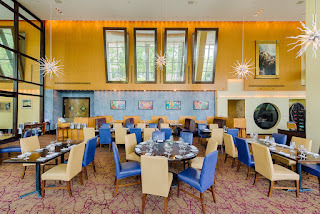 Opened in 2002, 2941 - located in Falls Church, VA surrounded by lush landscaping, koi ponds, waterfalls, world-class artwork, and a lakeside view, is one of the most celebrated restaurants in the metropolitan area. Following its transition from a special occasion fine dining restaurant to a bustling upscale casual dining experience in 2012, award-winning Executive Chef Bertrand Chemel and Pastry Chef Caitlin Dysart infuse sweet and savory perfection into their contemporary American cuisine accented with bold French and Mediterranean flavors. 2941 continues to charm gourmands with its sophisticated yet relaxed ambiance, outstanding service, and creative yet approachable cuisine. For additional information on 2941, please visit www.2941.com or @2941Restaurant.